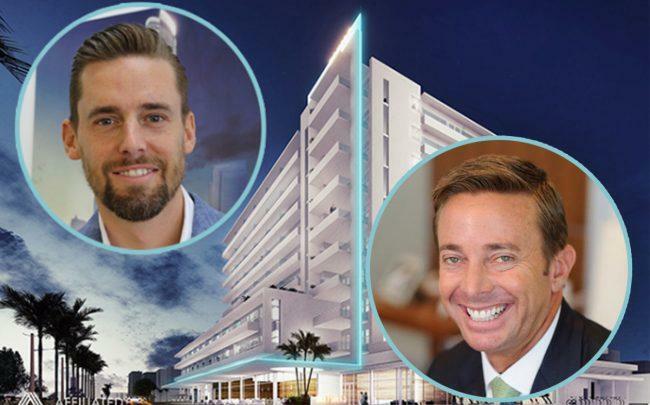 Affiliated Development scored a $19.3 million construction loan from City National Bank to build its The SIX13 apartment project in a Fort Lauderdale qualified Opportunity Zone. Fort Lauderdale-based Affiliated Development also secured an additional $7 million in gap financing from the Fort Lauderdale Community Redevelopment Agency to complete the 142-unit workforce apartment complex at 13 Northwest Third Avenue near Fort Lauderdale’s Flagler Village, according to a release. It also received an investment from London-based real estate firm Round Hill Capital. The amount was not disclosed. The Six13 project will be six stories, with 197 garage parking spaces and 5,991 square feet of ground-floor restaurant and commercial space. Amenities will include a pool with private cabanas, a fitness facility, a rooftop observation deck with bocce ball court, a dog park, a ground level co-working space, and an onsite coffee bar for residents. It is expected to be completed in the spring of 2020. The planned apartment development sits inside one of the hottest Opportunity Zone sites in South Florida, Fort Lauderdale’s Progresso Village, near the Virgin Trains USA Station. Passed through President Trump’s 2017 tax plan, the Opportunity Zones program give investors and developers the chance to potentially defer some of their capital gains taxes by investing in historically distressed areas. There are over 8,700 designated Opportunity Zone sites https://therealdeal.com/miami/2019/02/15/so-many-opportunity-zones-so-many-questions-for-developers-investors/ throughout the United States. Affiliated Development’s Jeff Burns previously told The Real Deal that the company planned to use up to $13 million raised from Opportunity Funds https://therealdeal.com/miami/2018/11/09/affiliated-development-will-use-opportunity-zone-funding-for-flagler-village-apartments/ in the project. This would represent about a third of the project’s costs. Investors are raising massive Opportunity Zones funds but most are still waiting to deploy capital until more regulations are released from the U.S. Treasury Department and the IRS. Recently, Secretary of Housing and Urban Development Ben Carson said the agency will give preference https://therealdeal.com/miami/2019/03/12/ben-carson-says-hud-will-give-preference-to-developers-who-build-affordable-housing-in-opportunity-zones/ to developers who build affordable housing in the zones.